Get your free Metal Roofing estimate in Freeport! Metal roofs in Freeport are beautiful, but also have a longevity far exceeding traditional asphalt roofs. 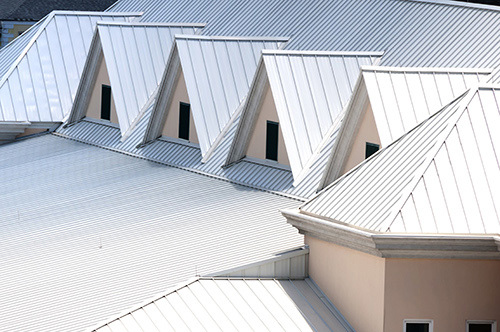 We can assist in pricing your metal roofing project, and find you a vetted, local contractor. There are many types and styles of metal roofing, and our Expert Roofing Professionals can help you chose the one that's right for you! Whether its, steele slate, standing seam, RU Panel, or stone coated steel, we educate you on the roof that would best suit you and your home. Metal roofs have a long lifespan and a high wind rating that will suit your roofing needs.